Isamaa ja Res Publica Liidu (IRL) esimees Urmas Reinsalu teatas täna erakonna eestsesuse koosolekul, et lahkub juunis erakonna esimehe kohalt. 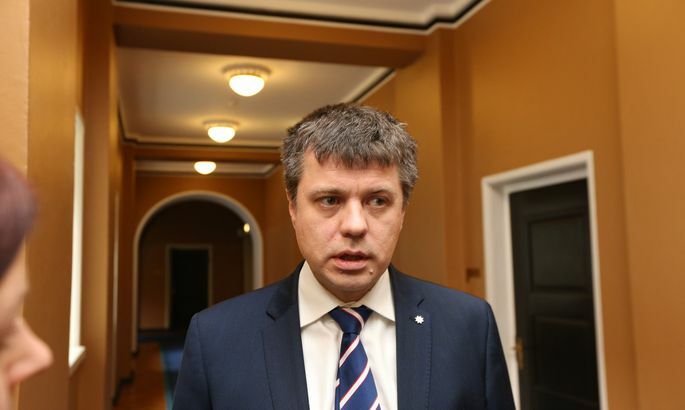 While following the noisy leadership meeting at IRL yesterday morning chairman Urmas Reinsalu announced stepping down in June, campaign No 1 Juhan Parts is out of sight and participates not in preliminary coalition talks. By this, IRL rank and file are put off, asking if the party has any chance left – and its essential leaders, the wisdom and the will – to lead IRL towards a new rise. After lots of old Pro Patria people left a few years ago, the party has not publicly boiled. Some members say the criticism has rather been suppresses: while not okay with fullness of power by party top, none has ventured to openly say so. Lots or Pro Patria era oldies have given up trying to change anything. The big issue is: has the Res Publica part of IRL any willingness to cede positions. In management and those that made it into Riigikogu, they already enjoy absolute majority. From the Pro Patria part, only Margus Tsahkna and Helir-Valdor Seeder are in parliament. The former is away from Estonia, at the moment. The other, the highest-ranking «fatherlander» in IRL as head of council, does sit at coalition talks table. True, coalition talks have also seen the rising forth of Kaia Iva, another one of Pro Patria background – no matter that she failed to make it back to Riigikogu due to how bad the party did at elections. In Ms Iva, perhaps, Mr Reinsalu, Ken-Marti Vaher and others might have detected a new face, one that may be presented as former Pro Patria and thus endorsed by honorary chairman Mart Laar. The issue being: how strong could Ms Iva stand beside the party combiners – would she be able to enforce her leadership? As potential chairmen, Marko Pomerants or Marko Mihkelson may also be set forth. Both made it to parliament.